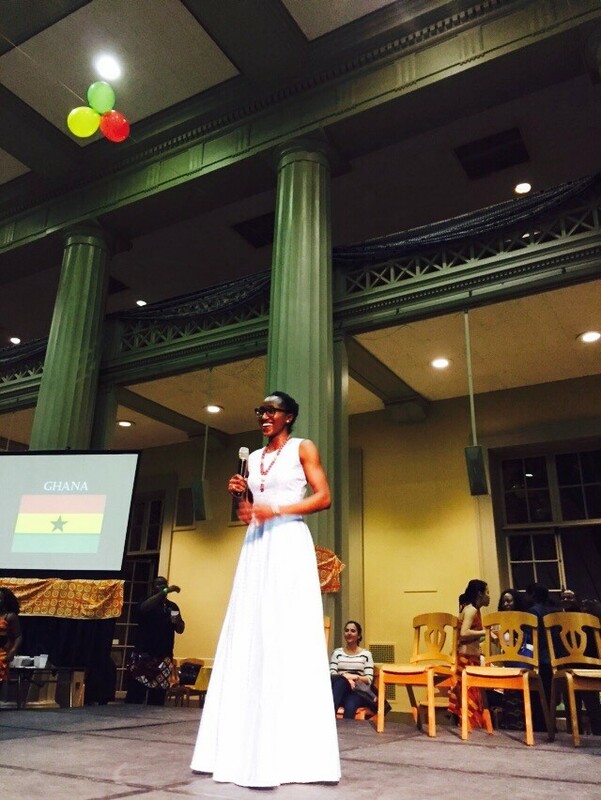 “Not only do Africans love dancing, music, and good food, but we also love fashion and style!” I announced on stage in front of hundreds of my classmates. First, you might be wondering what a C-F(x) is. At least once a month at Sloan, an affinity group (e.g. Hispanic Business Club, Korea Club, etc.) hosts an evening of cultural events on a Thursday night. These widely attended celebrations allow the clubs to showcase aspects of their cultures and educate fellow classmates. As a side note, one of the amazing things about being a Sloanie is that 38% of my classmates are from one of 52 countries. For someone like me who grew up speaking Igbo and English at home, I love that it’s completely normal to hear conversations in myriad languages on any given day! This month, I had the opportunity to share my two favorite subjects, fashion and my Nigerian culture, with my classmates. When I started at Sloan, I wondered how these two significant facets of my identity would play a role in my MBA experience. What I soon learned is that there is no shortage of opportunities at Sloan to express yourself and share what excites you the most with fellow Sloanies. Because of this experience, I’ve created three rules for myself to take advantage of my time at Sloan and push myself to grow as a leader. Rule 1. Don’t apologize for what you like. 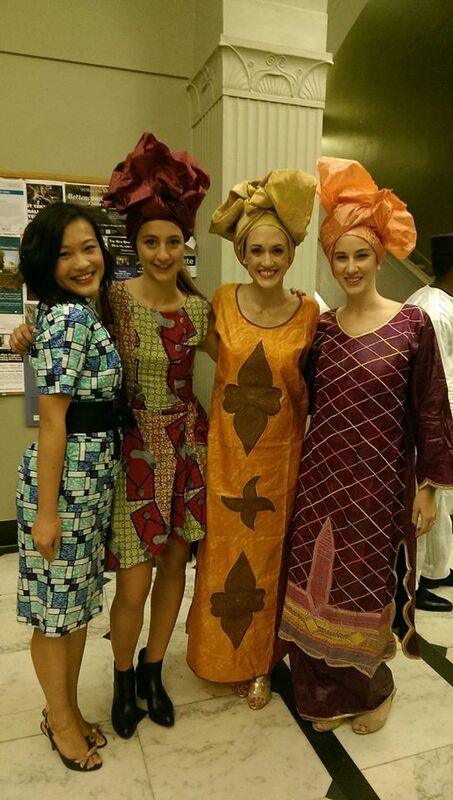 At MIT Sloan, I was concerned about finding people who were also excited about fashion and African culture. I almost didn’t want to talk about my interest in fashion because I worried that others would judge me. However, after joining the Africa Business Club and Retail, Luxury, and CPG Club, I found “my people” and embraced my passions. Rule 2. Find people who can connect you with opportunities. After talking about my interests with my classmates and club members whenever it was relevant to the conversation, I noticed that opportunities started coming my way. When the time came to plan the African C-F(x), people suggested that I lead the fashion show. I hesitated at first because the core semester is quite busy and organizing a fashion show takes a great deal of coordination and effort, but I knew that leading the show would fulfill me in ways that classwork could not. Rule 3. Don’t be afraid to go for it. Finally, I committed to leading the show and it was time to plan. I met so many people while collecting clothing and casting models for the show. Not only would I have the chance to share a wide range of African styles with my classmates but the fashion show also presented an opportunity to showcase music that many may not have associated with African culture. After the C-F(x), I danced the night away (literally) to African music from my childhood. The biggest reward for me that night was getting to know my classmates on a personal level and bonding with them over something that mattered to me. I’m so grateful that I had and seized the opportunity to share my passion and culture with my classmates during my first semester at Sloan! Ginika Agbim O'Kelly is a Nigerian-American MBA Candidate of MIT Sloan's Class of 2017. As an experienced management consultant, Ginika enjoys working with organizations to solve their toughest issues. In addition to pursuing her professional interests in design thinking and innovation, she can be found training for a race, practicing yoga, blogging about fashion and travel, or learning a new language.